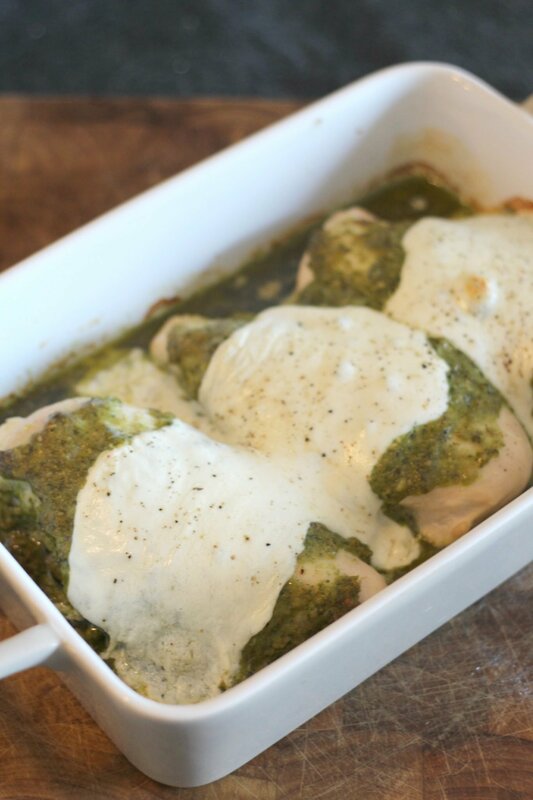 This baked pesto chicken breast is one of those meals that is full of flavor, the whole family will eat and it comes together in a jif. Throw the ingredients together, stick it in the oven and get ready for a tasty dinner. School is back in session for a couple of the kiddos around here and life just became exponentially busy. There is soccer practice for someone nearly every night of the week. Oh and there’s book club, Girl Scouts, choir, violin and gobs of homework. And while all of this is the big girls’ activities, the baby and I are always along for the ride, by that I mean chauffeuring them around. It’s a little busy. 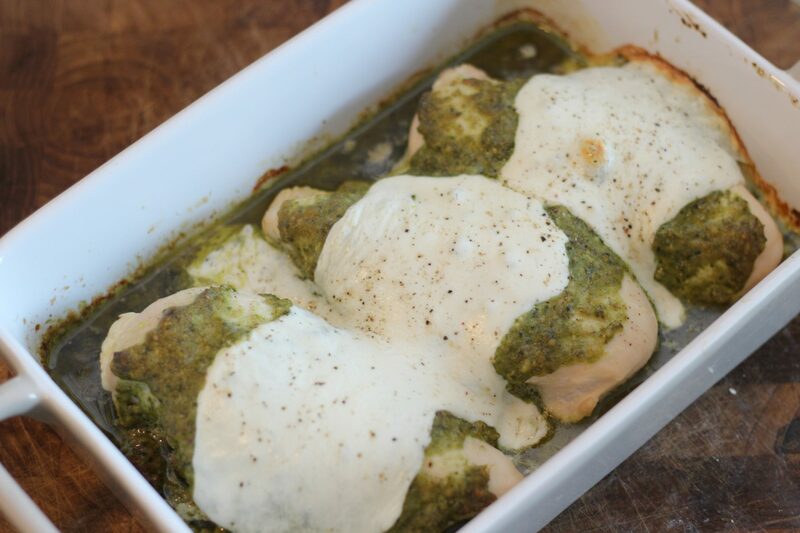 So this baked pesto chicken dish came together out of sheer necessity. 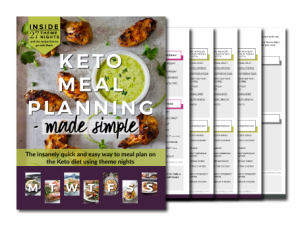 I needed a protein that I could prepare ahead of time and will be on the table relatively quickly on those busy soccer practice nights. It pairs well with a side of asparagus cauliflower rice or other vegetable. Place chicken breasts in a shallow dish. 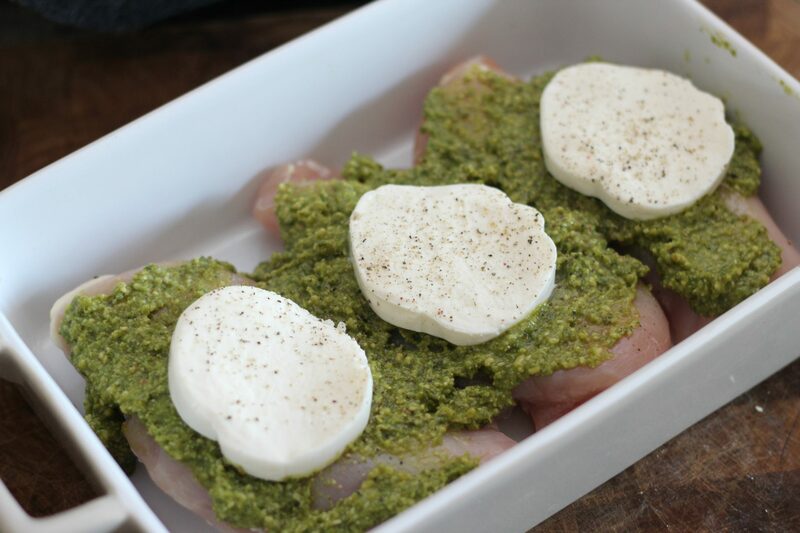 Spread pesto over chicken breasts. Place fresh mozzarella on top. Sprinkle with freshly ground pepper. Bake for 30-35 minutes until chicken is fully cooked. The nutrition info is based off of the recipe. It does not account for the amount of oil and liquid that remains in the dish after cooking. I love this dish. 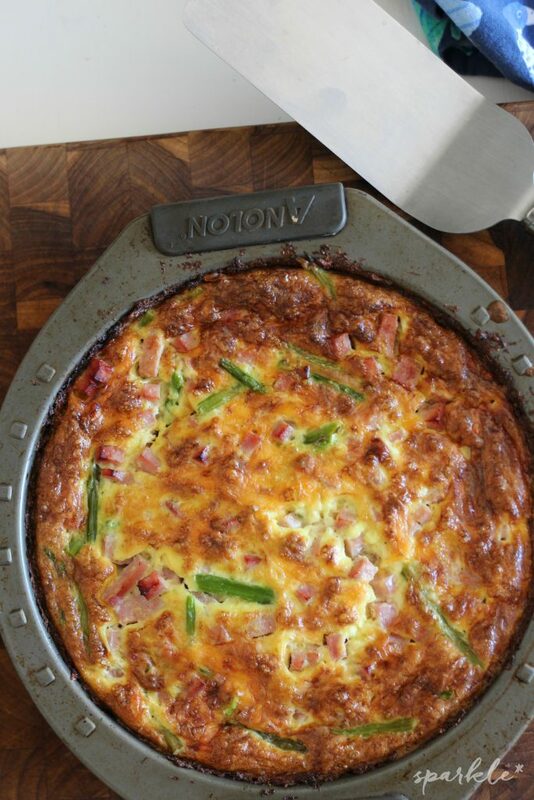 It is so quick and easy and the whole family loves it! I’ve cooked it with slices of tomatoes as well.